"Helpful friendly girls and they kept me updated throughout the repair"
"Wonderful service, thank you so much. My TV was repaired on site and the field engineer was friendly and polite. Everything works perfectly." "My DVD player was repaired while I waited in the lovely reception area. Thirty minutes later I was in my car driving home!" "The engineer repaired my TV, without having to use any spares. Absolute bargain"
"I was able to repair my much loved camera and purchase the same model via J&S cameras to keep me going for even longer. Hurray!" "I sent photos of the fault my TV was displaying and the next day the engineer arrived with the spares and fixed the TV in my living room. Now that’s what I call service!" "RRC was unable to repair my TV due to a spares issue. However, after emailing the manufacturer, they were able to get my TV exchanged. Super service." "Much like its owner - old and worn out - I brought my Hi 8 Player in for repair. It was brought back to life by this marvellous company - unfortunately they are unable to fix me!" "Top company, fixed my TV and re-installed it, showing me all the functions I was missing out on." 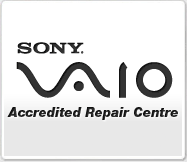 "Excellent service, repaired my damaged camera straight away and gave me some useful advice for future use."